This entry was posted in Fitness, Weight Loss and tagged Cookie Monster, Men Named Victor, Zumba by Liz K.. Bookmark the permalink. HILARIOUS! Thanks for sharing your ‘Zumba’ experience. 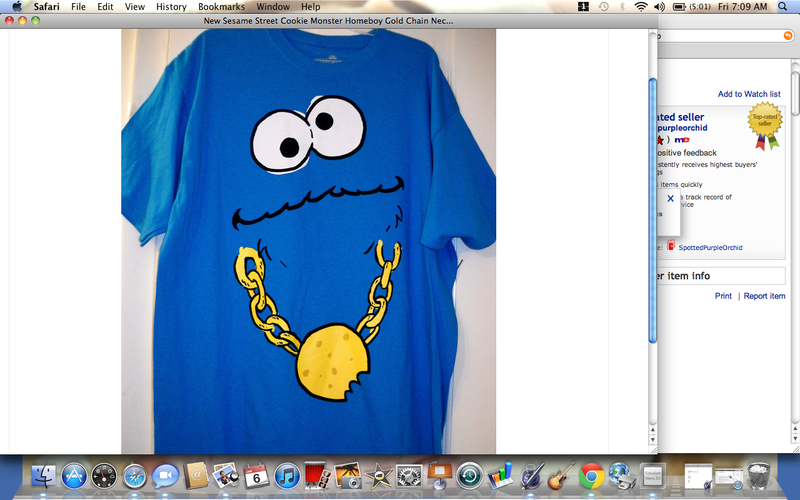 And that shirt, AKA Cookie Monster gone Ludacris?! PRICELESS!! Thanks, KB! I’m guessing my your screen name that you also teach. Do you know Victor?? ?